Fast Translation offers a full range of translation services round the clock at good prices, which ensures lasting partnership with our clients. We have been the reliable translation partner of well-known brands and companies in various industries for many years. Our translation agency works with the best freelance professionals – translators, interpreters, proofreaders, industry experts and technical staff. We dedicate particular attention to the individual requirements of our clients, offering our expertise for solving even the most complex translation tasks. If your company wishes to reach a new target audience in different countries and adequately adapt its message, you need translation services – it is an important aspect of the global economy today. Fast Translation can become a reliable partner in any project, because translation is what we’re all about! We fulfill our customers’ needs with precision, while also offering custom translation solutions. Fast Translation provides a variety of translation services in more than 30 languages. You will receive the translation services of highly qualified specialists in the form and within the timeframe you desire. We are able to offer not only extensive knowledge and experience, but also outstanding service, quality standards, and special rates. Fast Translation has extensive knowledge on the subjects of the materials we translate. Our services are available to both individuals and legal entities in equally high quality. Strict adherence to deadlines and a flexible pricing system for our regular and new customers are priorities in each of our projects. Our translation services encompass all the key areas: medicine, finance, technology, law, construction, wood processing, telecommunications, marketing, travel, and IT. We also provide high-quality translation of documents related to politics and European Union affairs. The translation professionals of Fast Translation guarantee high-quality translations in various fields – from advertising brochures to complex technical drawings. For large-volume orders, our translators also use computer-assisted translation (CAT) software. These tools help complete the work more quickly and accurately! However, it is important to remember that CAT software does not create translations itself, but rather assists professional translators, proofreaders and editors in their work. Most of our translation specialists have not only language education, but also professional knowledge in another field. The translation, editing and proofreading of your specialized projects will be carried out by experts with extensive practical and academic knowledge. 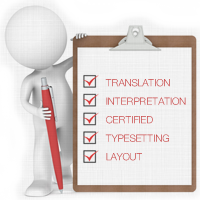 By the customer’s request, we can also prepare translations while maintaining 1:1 layout – preserving the original typesetting, as well as tables, images, and other graphical content. We work with all the main electronic file types. Fast Translation most frequently provides translation services in the following languages: Chinese, Czech, Danish, Dutch, English, Estonian, Finnish, French, German, Italian, Latvian, Lithuanian, Norwegian, Polish, Russian, Spanish, Swedish. By your request, our translation agency will also be able to ensure translations in other languages or language pairs. By concluding an agreement, Fast Translation undertakes responsibility for quality, observation of deadlines, and confidentiality. We guarantee complete security of the information entrusted to us by our clients. Fast Translation does not disclose any information regarding translation orders to any third parties, except where disclosure is required by the law of the Republic of Latvia. Feel free to contact us at any time. If you would like to find out more about our translation services and rates, please contact us.